Fire Direction Control was the best place to work in our artillery battery. We had electricity, radios and the largest bunker. 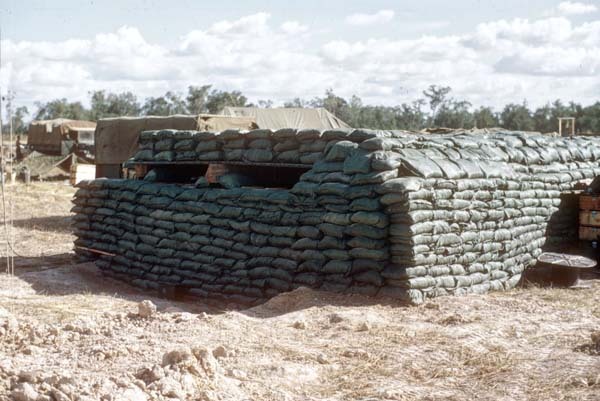 Our work was easier physicaly and the concussion of rounds being fired took less of a toll on our ears. Our electrical generators had hot exhaust that we used to heat metal cans of water for showers. We had the only generators in our battery. We also needed to be exact in our work as a mistake on our part caused all 6 guns to shoot incorrectly. Friendly fire is anything but on the receiving end; and our first job was to be correct and sure. Ralph Thompson (died 1981) and I fought every day I worked in FDC. He was in charge and had been an instructor in FDC at Ft. Sill Oklahona. He knew his work and demanded full concentration by everyone. Some 11B10 (Infantry MOS) somewhere is alive because of Ralph.